The most versatile and effective outdoor cooker ever designed! 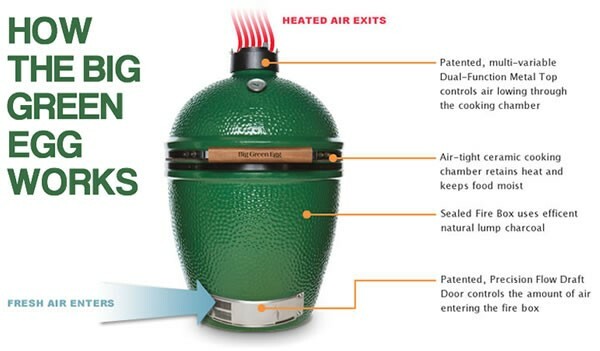 Use The Big Green Egg® for smoking, grilling, roasting, baking, and barbecuing all kinds of meats, veggies and more! Big Green Egg ceramics will withstand temperatures beyond 2000 degrees Fahrenheit without damage. And you can use your “Egg” in any weather – sun, rain, snow, or sub-zero temperatures. For high temperature searing of steaks, for low-and-slow cooking, or even brick-oven baking, the Big Green Egg will do it all! It will replace any combination of cookers you have including your oven. Durability and beauty is enhanced by a brilliant gem-like Mexican glaze. This non-toxic lead-free glaze is a lifetime finish that will never fade, discolor, or weather. We have the most models in our showroom to browse and compare! Find the perfect size for you, and all the “eggcessories” to go with it. 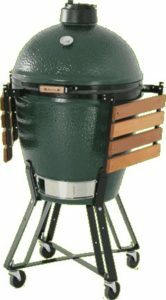 Read Zagers Blog for Recipe Ideas and More for the Big Green Egg. 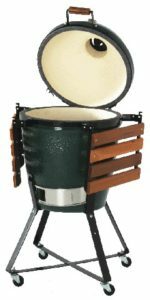 The following Big Green Egg models are available in our stores. 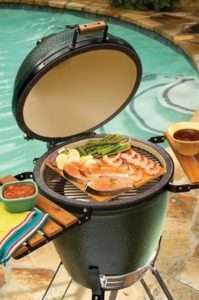 Big Green Egg does not sell models online. 452 sq. in. cooking space 205 lbs. 255 sq. in. cooking space 140 lbs. 177 sq. in. cooking space 95 lbs. 133 sq. in. cooking space 65 lbs. Perfect for picnics and tailgating! 64 sq. in. cooking space 30 lbs. Gather round, feel the warmth of cook a meal. The Chiminea can even handle rain when hot! It burns wood or charcoal and has a protective screen. 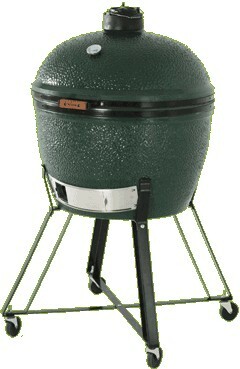 Stop into any of our 5 West Michigan Locations to check out the Big Green Egg. Browse all the ‘Eggcessories’ and get one today to get smoking all year round! Contact us for pricing and other product information. 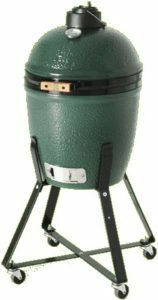 The Big Green Egg is not sold online.